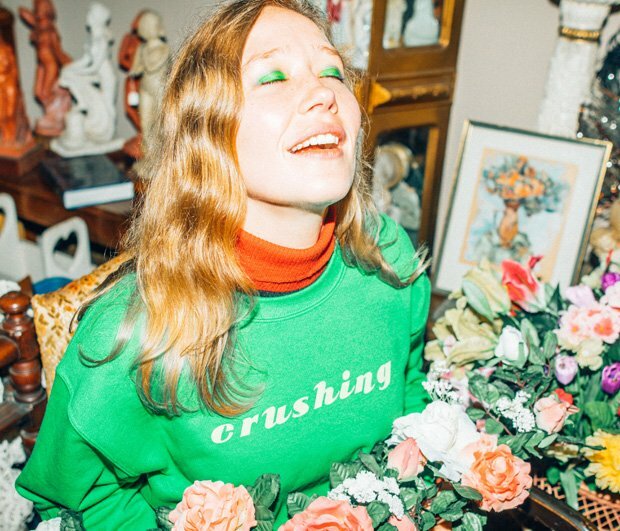 I defy anyone to listen to Julia Jacklin's second album and not be at least mildly crushed by its intense honestly and emotion. Though it is about a relationship ending, giving it the label of 'break-up record' would be like calling a symphony a jingle. This is an eloquent and candid exploration of heartache, reclamation of identity and resistance of expectations, for which the label 'masterpiece' would be much more suitable. What makes these songs so captivating is Jacklin's deft handling of subjects which are simultaneously profoundly personal, yet universal in their relatability. The album begins with the lead single 'Body', an achingly intimate narrative of salvaging individual personhood from the wreckage of a relationship. Jacklin recalls 'heading to the city to get [her] body back' in a hushed vocal that sounds close to the ear, over a stark and plodding slowcore-esque accompaniment. The lyrics of this track, and throughout the entire album, are transparent and very specific, purposefully achieving vulnerability by avoiding any over complicated or vague lyrical 'trickery'. Themes of reclaiming space continue on the more dynamic track 'Head Alone', which musically harks back to the 60s-style shuffle heard on Jacklin's 2016 debut release Don't Let the Kids Win. 'I don't want to be touched all the time / I raised my body up to be mine' she sings – statements don't get much clearer than that. 'Pressure To Party' is heavier yet, as a track Jacklin describes as basically a 'three-minute scream' about defying instructions of how to behave post break-up. Lighter moments come in the form of sarcastic eye-rolls on 'Convention' (about mansplaining) and 'Good Guy' (about one night stands). Complex and powerful, Crushing is one of those records that reveals further layers of intricacy with every listen. Jacklin's honesty about her own experience invites self-reflection, like a profound conversation with a close friend. Brace yourself to be crushed and crushed again – because it's addictive. Out Fri 22 Feb on Transgressive. Folk, rock and indie singer-songwriter from Sydney, Australia.